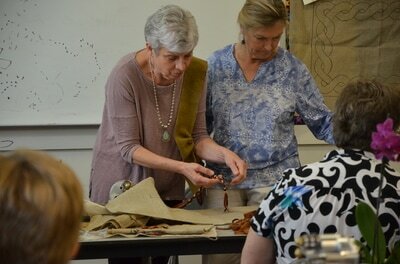 Jeanette: One of the best work shops I have taken. 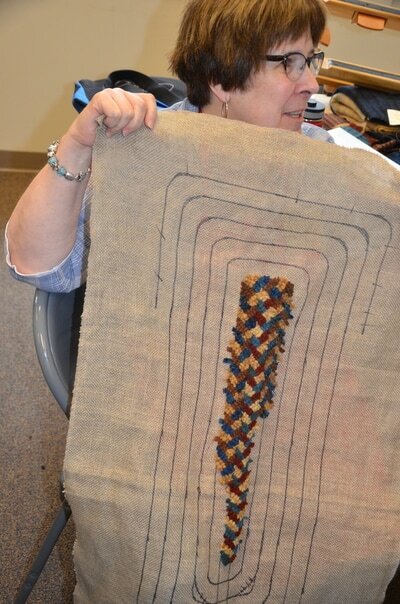 She helped color plan my rug, but I am most please with the lessons on binding/finishing the rug. 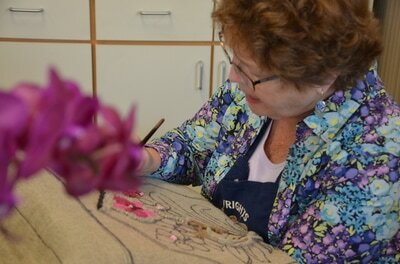 She was very relaxed, easy to work with. 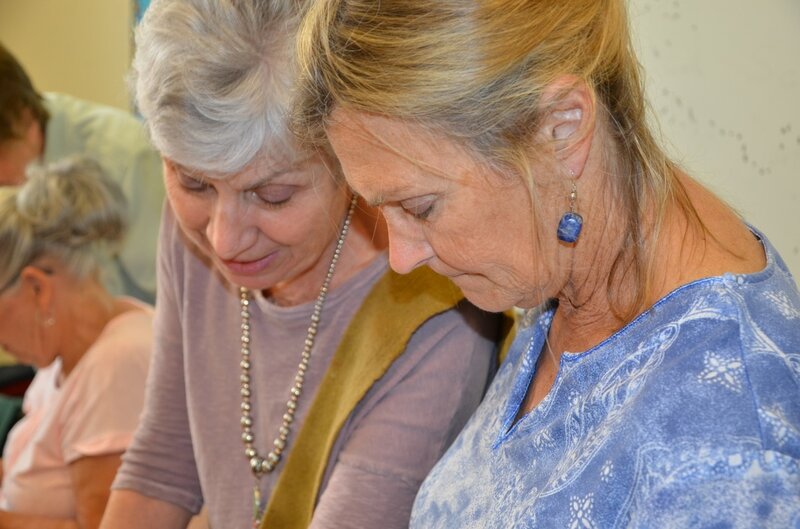 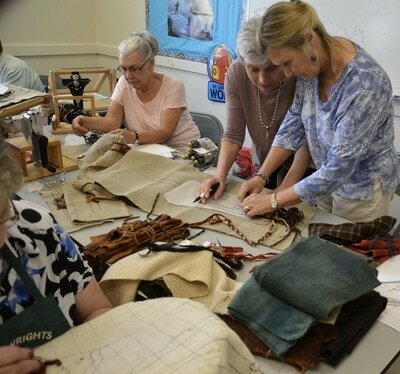 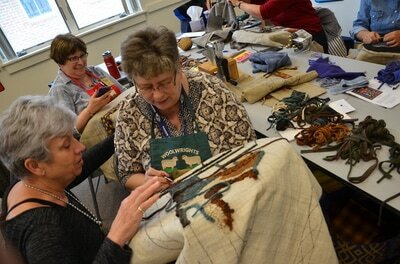 ​Gail: What an enjoyable workshop. I learned several new things and found myself being really happy. 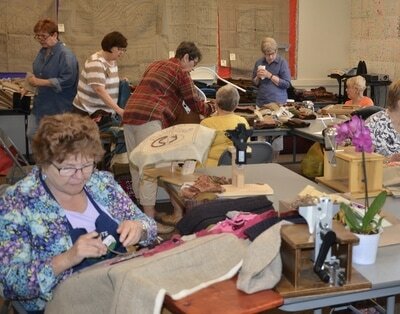 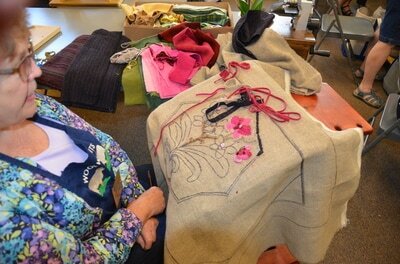 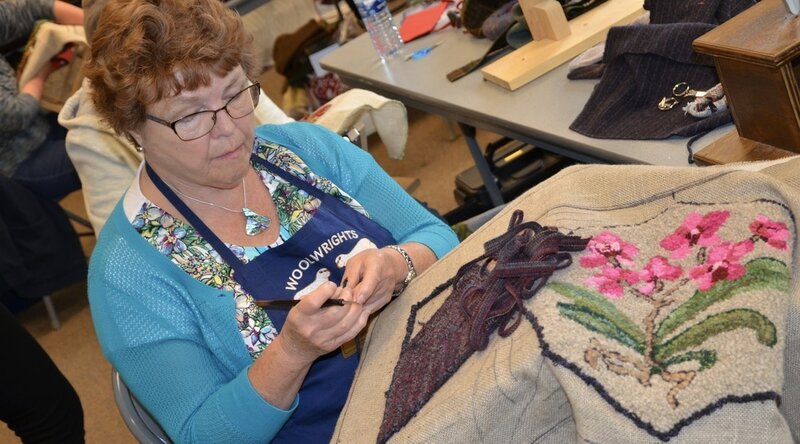 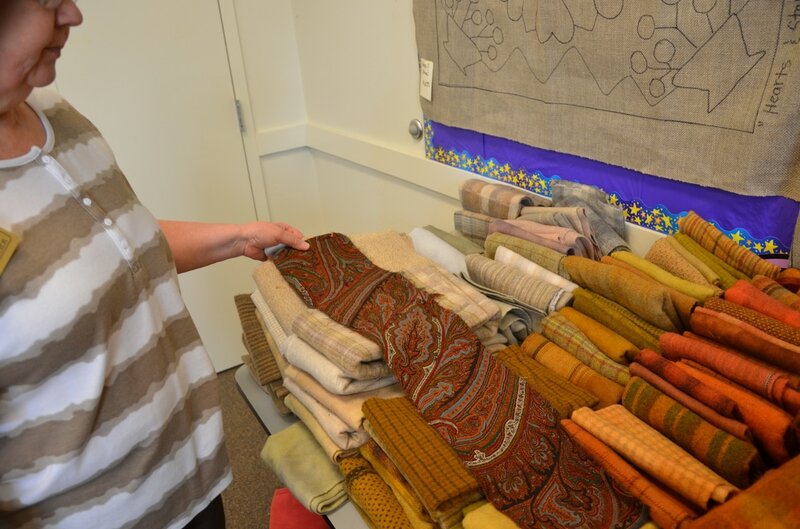 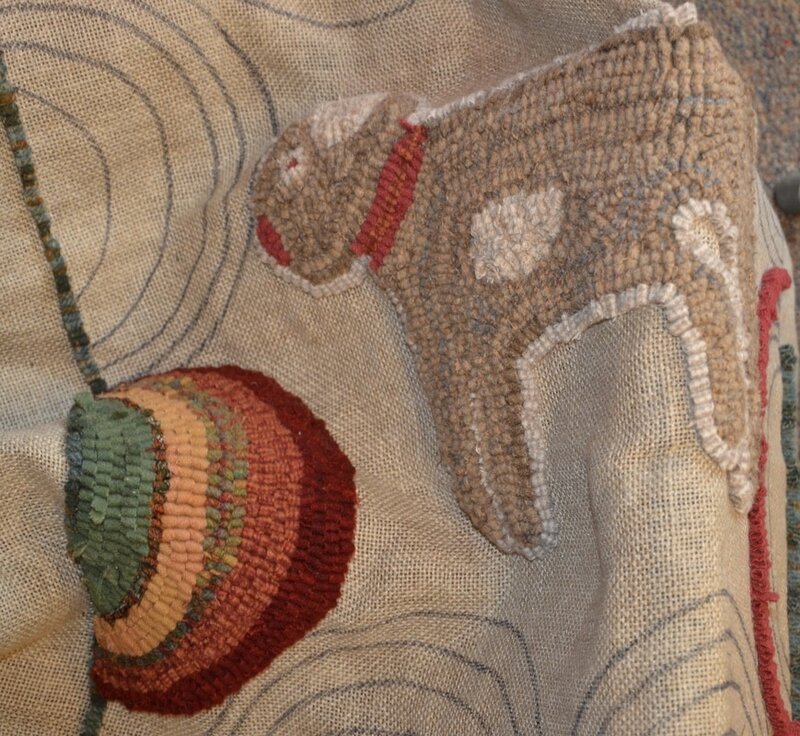 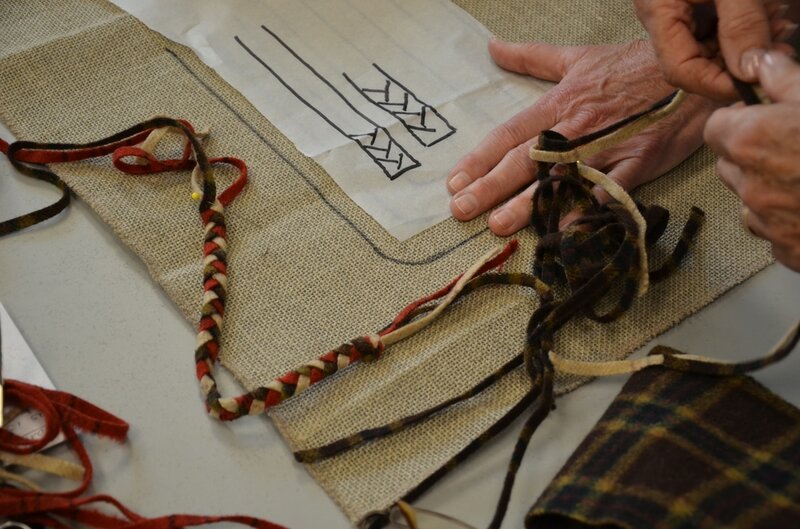 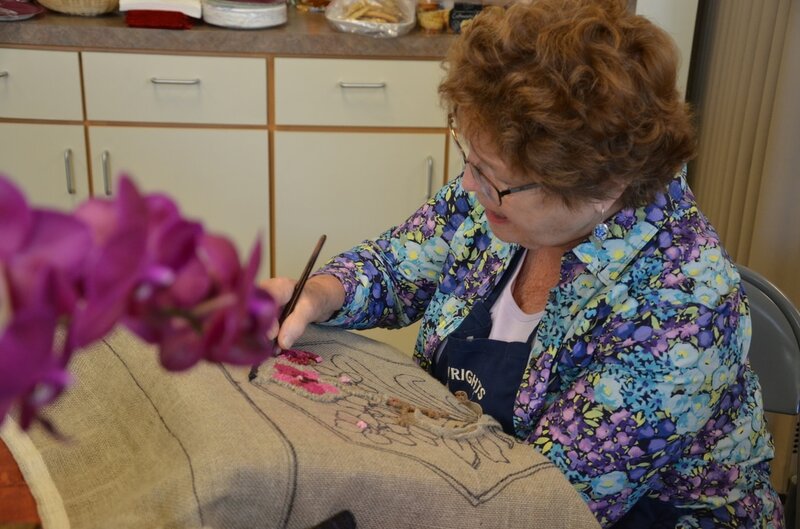 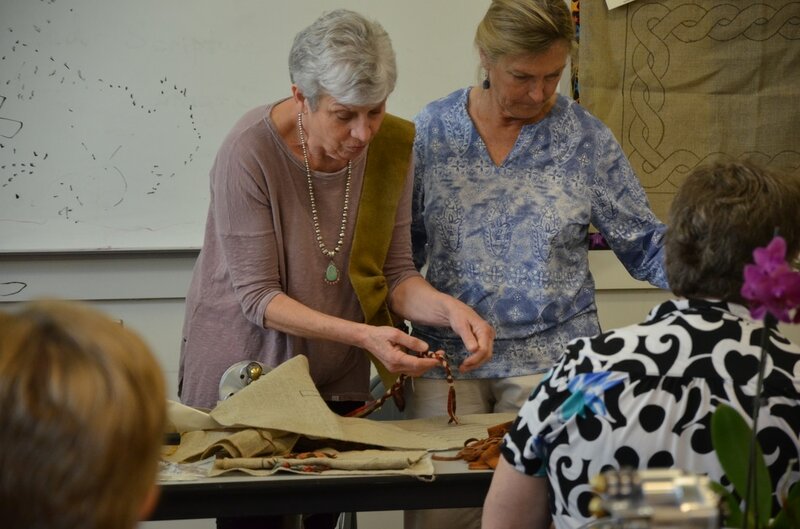 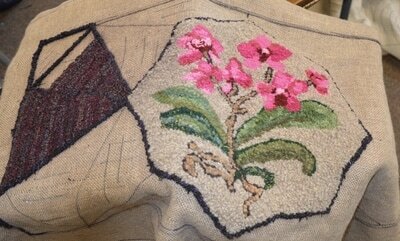 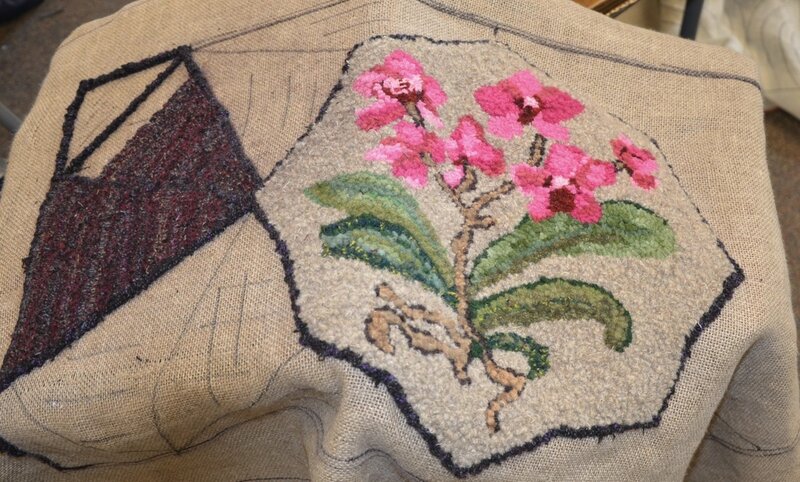 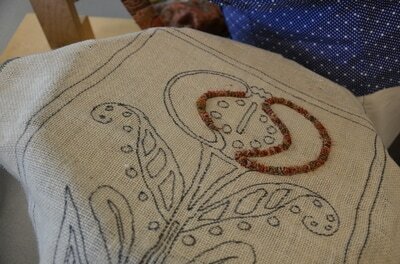 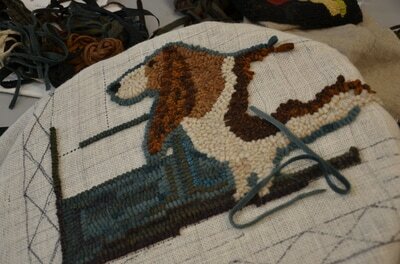 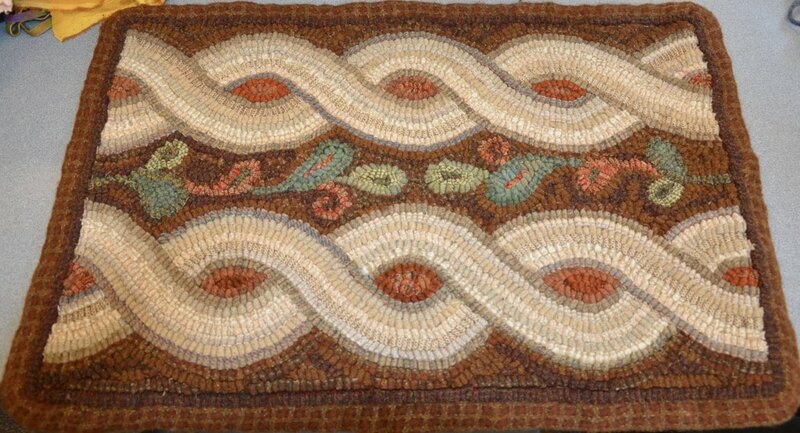 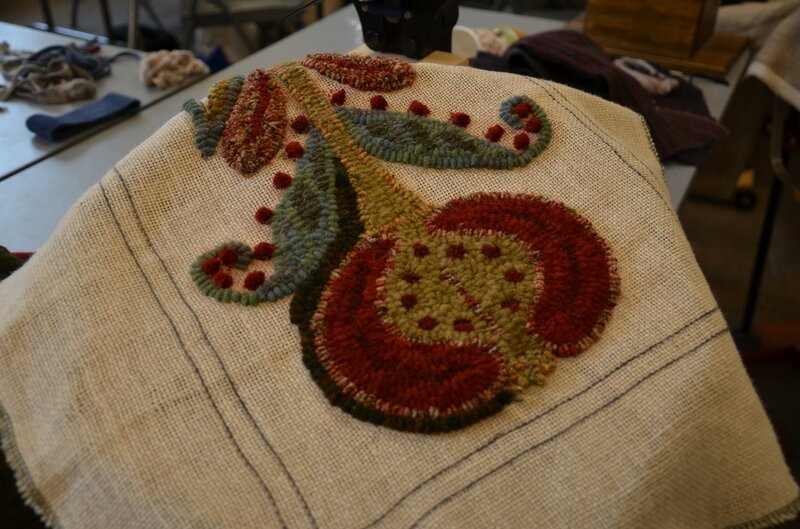 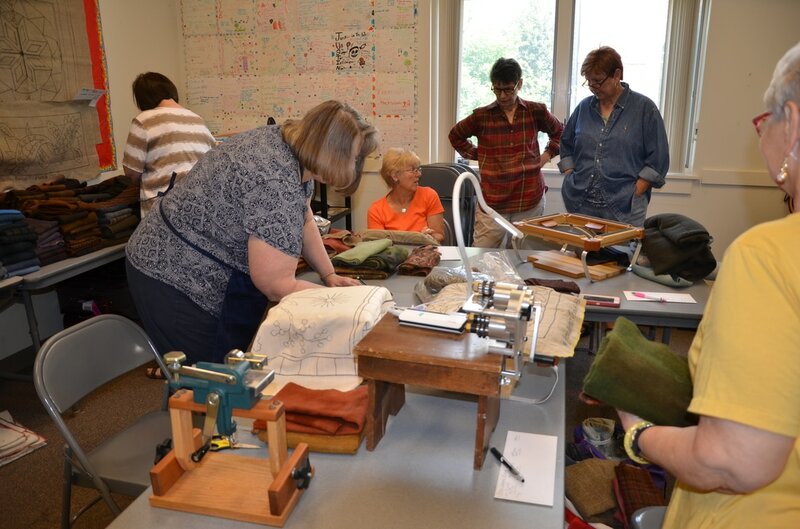 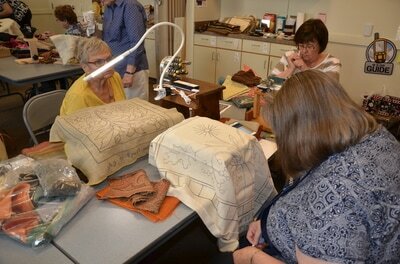 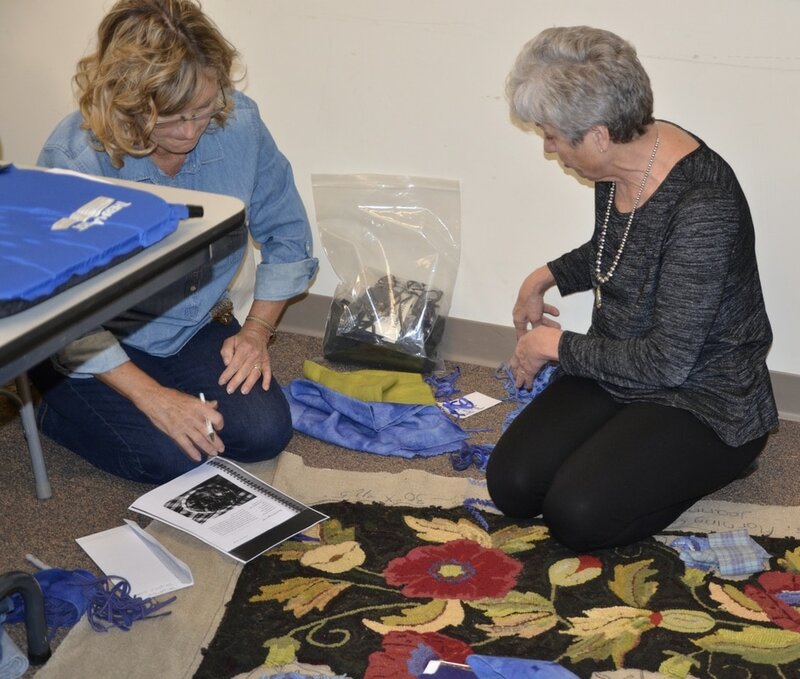 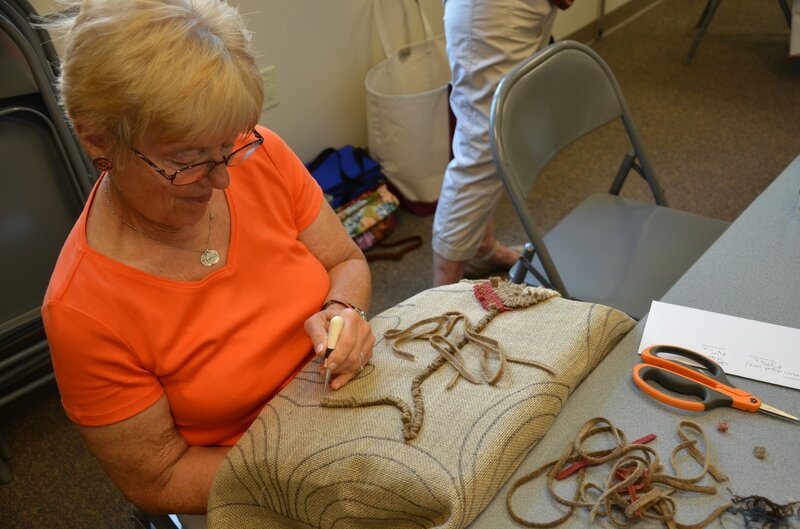 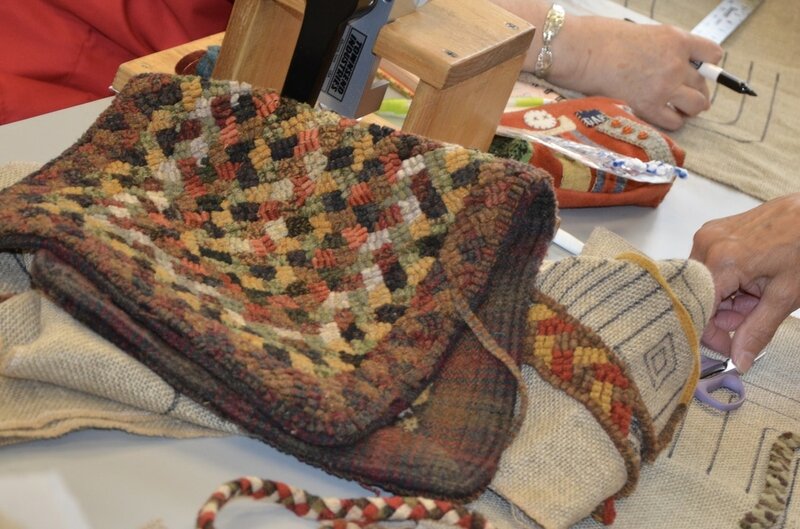 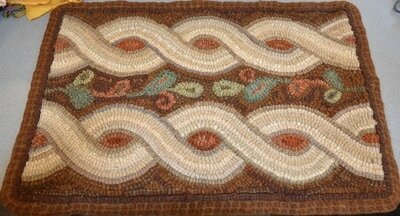 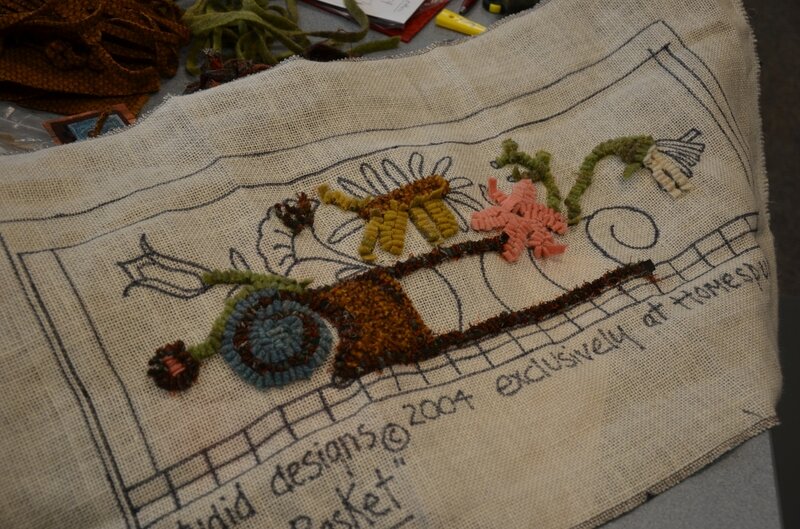 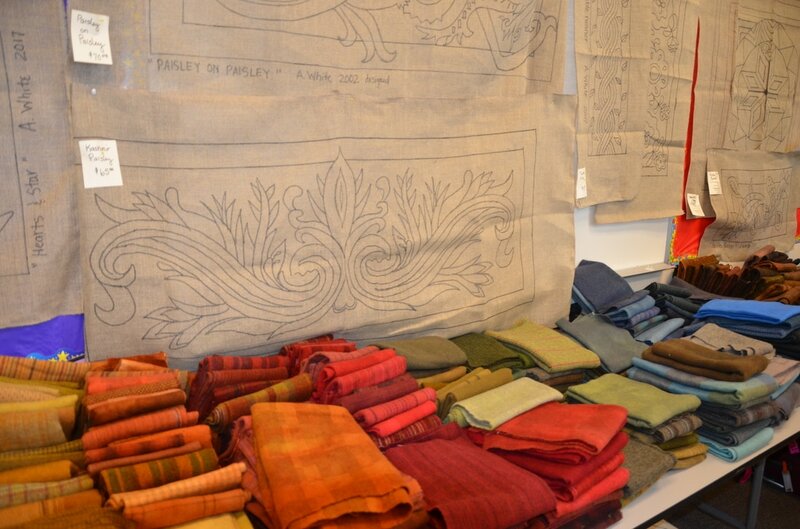 I learned how to hook French knots, how to hide ends, and several new ways to bind my rugs. The time flew by and the fellowship with the other members was great! 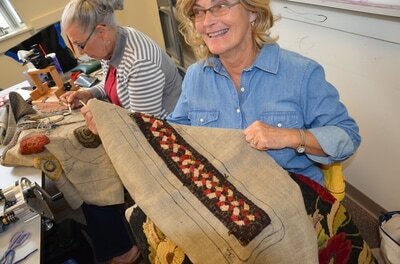 Shirley: I really enjoyed the class. 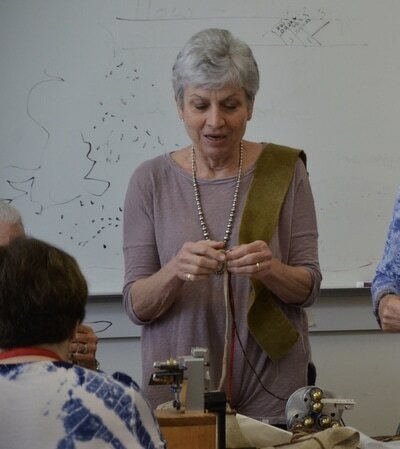 Anita was friendly and a good teacher. 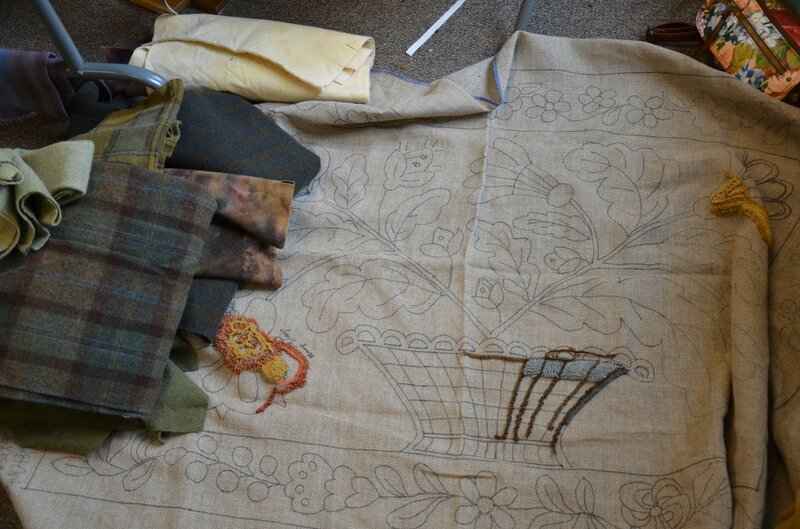 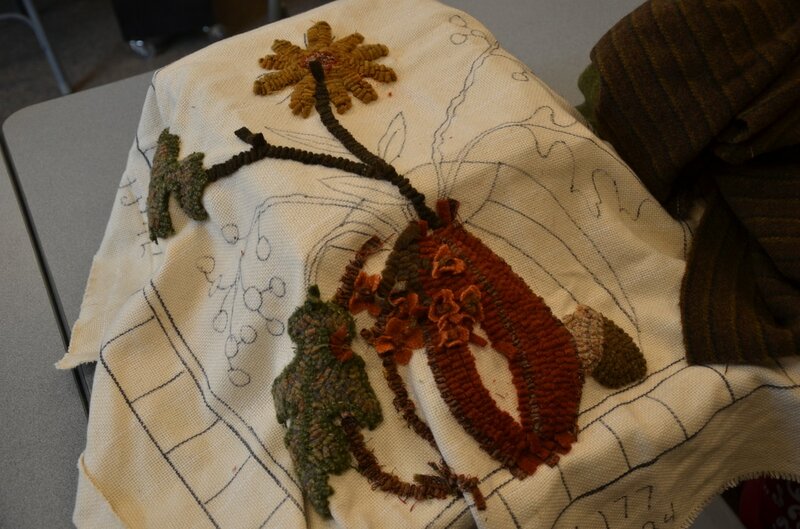 I learned how to hook a French knot and how to use paisley in my hooking. 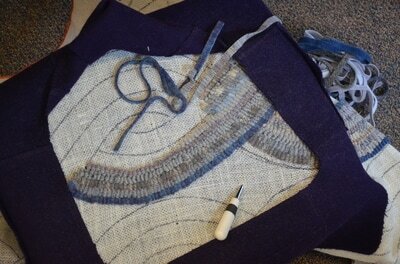 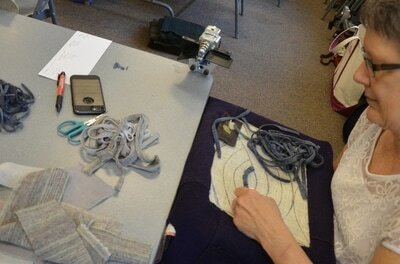 She also gave pointers on how to bind with wide wool strips cut on the bias. 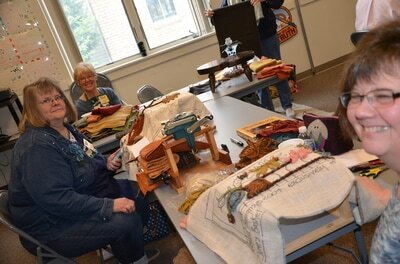 Nancy: Enjoyed the workshop. Anita gave us pearls of wisdom, techniques to using paisley, doing crewel knots in hooking and new ways of finishing rugs using wool. She has great color sense. 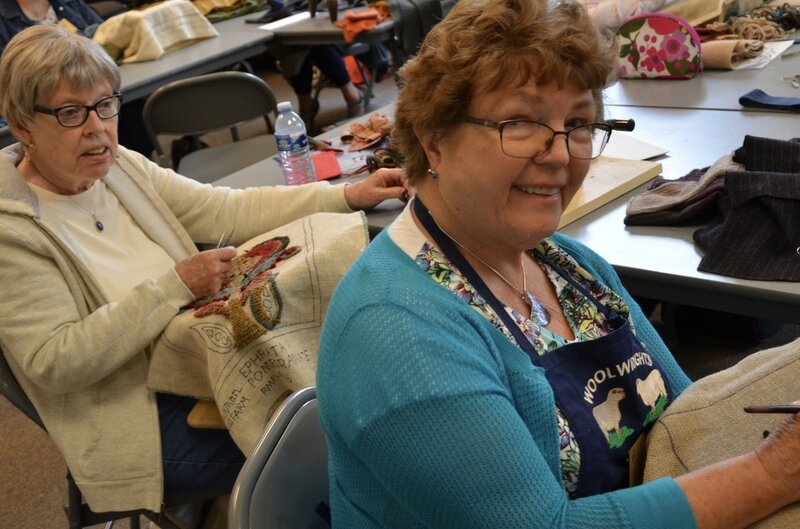 Great fun, great teacher.